Wm. F. Hill and Assoc., Inc. utilizes state of the art Global Positioning System (GPS) and Geographical Information Systems (GIS) equipment for all locational needs. 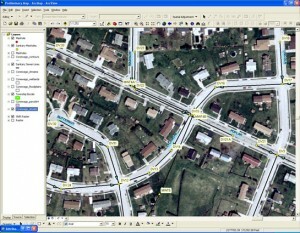 GIS is vastly becoming a popular program for municipal organization of information associated with infrastructure such as sanitary sewer systems, potable water systems, stormwater management systems, and other municipal information. GIS and GPS programs allow municipalities to organize spacial data and log data within the office to customize and pinpoint municipal projects and needs. Composite mapping and associated data makes logging of information more accessible and easy to use. Wm. F. Hill and Assoc., Inc. also provides most project related surveying services including Horizontal and Vertical Control Surveys, Topographic Surveys, Location Surveys, and Construction Stake-out. We utilize modern equipment and software to assure precision and accuracy from field to plans to finished product. For intensive surveying tasks, we partner with one of several local surveying firms to meet the specific needs of your project. of infrastructure data becomes increasingly important.